Jordan Holgerson is home and continuing to recover from her injuries. She told NBC News she now thinks the friend who shoved her, Taylor Smith, deserves jail time. 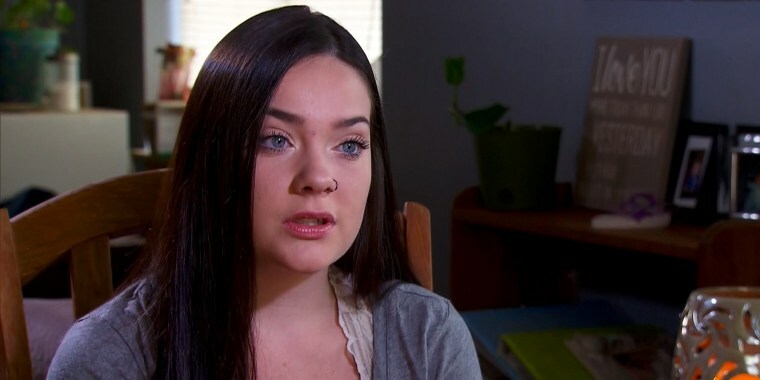 The teenager who was pushed off a 60-foot bridge in Washington state says the friend who sent her plunging into the water below deserves some jail time for nearly killing her. Jordan Holgerson, 16, is now home but continues to recover from six broken ribs, two punctured lungs and multiple other internal injuries sustained after being shoved off a bridge by 18-year-old Taylor Smith. “Well at first I didn't really want Taylor to get in trouble, but now that I've thought about it more, I'm kind of wanting her to sit in jail and think about at least what she did,” Holgerson told NBC News in an interview from her home. Police have finished an investigation into the event and have passed on the case to the Clark County prosecutor’s office for potential criminal charges. Smith told NBC News that she “feels really bad about what happened.” She said she didn’t intend to hurt Holgerson and has apologized to her. But Holgerson said an apology doesn’t help how angry she gets becomes over the fact that she nearly died. “I kind of got mad because the rest of my summer's gone and I'm probably going to be recovering for the rest of the school year,” she said. The incident happened on Aug. 7, when the girls were with friends at a popular recreational area in Moulton Falls Regional Park. Despite a sign saying jumping and diving is prohibited, the bridge is a popular spot for local daredevils. “I was like, ‘I want to jump off the bridge,’ and so I went up there, but I kind of got scared because of how high it was,” she told NBC News. Jumpers say they try to hit the water feet first. Doctors say a wrong entry could feel like landing on concrete. That’s what happened to Holgerson, who essentially belly flopped into the river below, roughly a 60- feet drop from the bridge. The incident was captured in a chilling video clip seized by social media users but has since been removed. Although Holgerson is recovering, she said she is constantly reminded of her injuries.